Minze Motors Inc. is glad to serve the Longview, TX. We are here to help you find the ideal vehicle to meet your needs and your budget. We are a Christian family owned and operated business and have been serving Longview, TX for over 30 years. Are you in the service? Let us thank you by helping you find a vehicle at a great price. Extended warranties are available for added protection on all the vehicles we sell. If you buy a pre-owned vehicle anywhere besides Minze Motors Inc.. You paid more than you had too PERIOD! What I do here is 90% Wholesale. What I offer for sale is the best of what I find. If I don't sell it quick, I wholesale it. So you can save thousands before it goes to the retail dealer. Every used vehicle offered for sale at Minze Motors Inc. undergoes a comprehensive and stringent multi-point inspection. 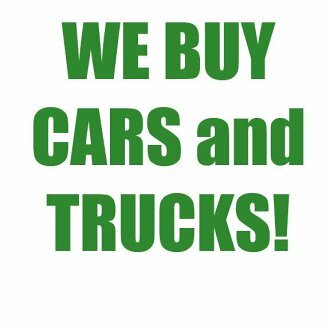 All trade-ins welcome & we buy cars for cash. We are a CARFAX certified dealer, and every car we sell comes with a free CARFAX vehicle history report. Be sure to visit our FaceBook page at //www.facebook.com/easttexastruckstore. Give us a call today to schedule an appointment. We appriciate the chance to be your used car dealership.